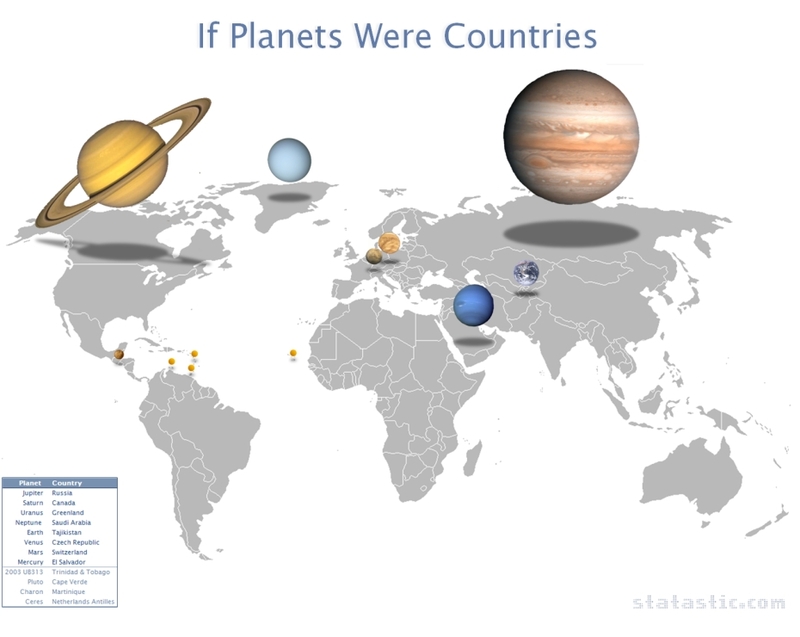 Statastico got to wondering, what if the planets were shrunk down to the size of countries on Earth? And Strange Maps got to linking, and so you got to see it here. I kind of like Earth being Tajikstan, but I like Mars being Switzerland even better.